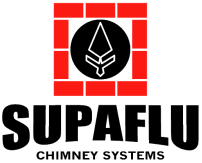 Listed below are some links that we think you may find useful in planning your chimney repair project. Underwriters Laboratories of Canada (ULC) is an independent, not-for-profit product safety testing and certification organization. Intertek is the world's largest independent testing, inspection and certification partner. We provide manufacturers and retailers with faster, more efficient market entry around the world. Directory for services offered by architects, artisans, contractors, designers, installers, fabricators, managers, consultants and educators in the custom building and restoration fields. An online community for people who love old houses.